Millennials are having trouble saving money and and part of the problem is the convenience and abundance of food apps, experts say. When Leslie Hacker began taking a closer look at her finances recently, she noticed she was spending about $1,000 on food each month. "It seems like a lot, but when I did the math, that's about 35 dollars a day, which doesn't seem that crazy anymore to be honest," she says. "It's definitely a challenge for people my age to save on food." "All day I'm seeing these food pictures online and I'm like, 'I want to try this and I want to try that!'" she tells CBC Toronto. 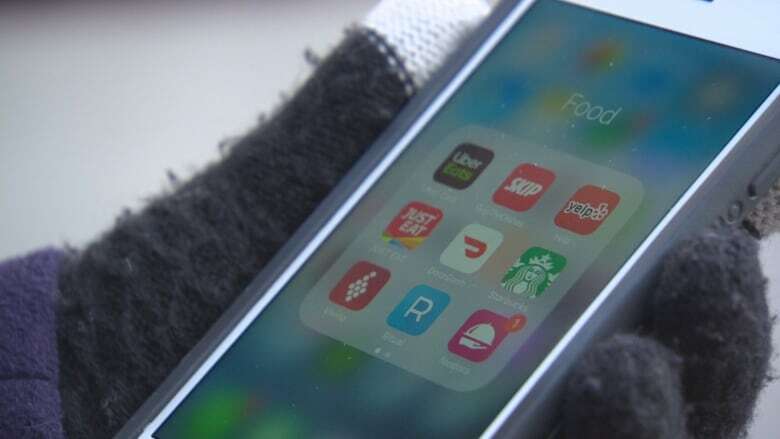 In the age of smartphones, access is easier than ever with popular food apps like UberEats and SkipTheDishes bringing a hot meal to your door in minutes. But the convenience comes at a cost. "There's the delivery fee — $5.00 to $7.50, I find, is the usual delivery charge. And then you have to tip the drivers." Despite that, Hacker says she still uses the apps at least a few times a week because "as a single person, it's harder to cook, I find. There's less motivation. Maybe when I have a family, things will be different." 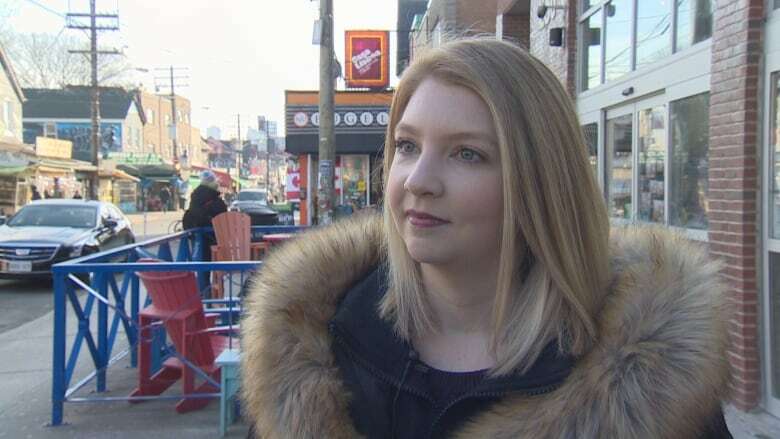 Jessica Moorhouse, a Toronto-based millennial money expert is noticing many of her well-paid millennial clients are living from paycheque to paycheque because they are overspending on food. Some, like Hacker, are spending $500 to $1,000 dollars a month. She says the first thing she tells her clients is to track their spending for three months to identify patterns and problem areas, then they can "start taking steps to fix it." Moorhouse says there is no "right or wrong answer" when it comes to how much you should be spending on food, but "10 to 20 per cent of your gross income… is a good starting point." 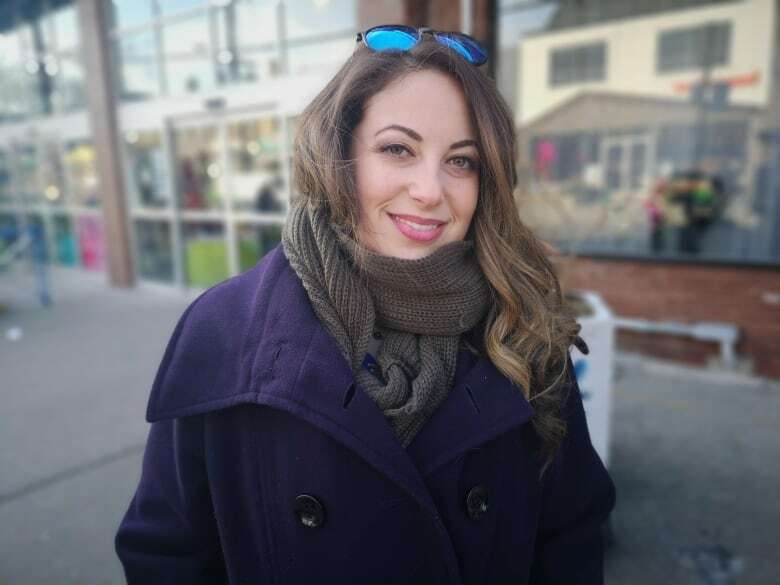 A millennial herself, Moorhouse, 32, says she definitely notices her generation is spending more money on food than their parents, but she understands why. "I think it's because our lifestyles are very different. A lot of us are working full time and we have a side hustle, or we're busy on the weekends," she said. "We're just go, go, go all the time. We're in that crunch time in our lives whereas Gen Xers and baby boomers, the kids may be out of the house (and) they've got a little bit more time." "I feel like I'm always worried about not having time to cook," 21-year-old Parnian Dolati said. As a full-time student, Dolati says she's often too busy for the kitchen. "I should be spending the money on making my own food but I don't." Richard Banyard, 32, is a millennial who does cook, and says it saves him a lot of money. He told CBC Toronto he spends about $20 to $30 on food each week, which adds up to between $80 and $120 a month. "It's the value of knowing how to make simple meals. I know people who don't even know how to cook an egg. [They] don't cook at all, so they spend most of their money on take-out." For time-starved millennials who don't have time to grocery shop or prepare food, Moorhouse suggests meal-kits as a good option to cut costs. "That's where those kind of delivery service meal kits come in… They do the hard lifting for you. They have all the ingredients and all you have to do is put it together. If you have 15 or 30 minutes, which everyone does, you'll have time to make your own meal." "It's way cheaper. For instance, with Chef's Plate (an Etobicoke-based meal kit company), a kit starts at $8.99 (including delivery). It's really good in terms of being a middle ground if you're looking for something to help you with your budget, eat healthy, and help you with those time constraints." Hacker says she opts for the meal kit option once in a while. "I don't use it every week, but I find it helps." She also says she is trying to cook something every other day in order to save money. For those who really want to save though, Moorhouse suggests going cold turkey. "Seriously, if you want to save money, delete those apps."